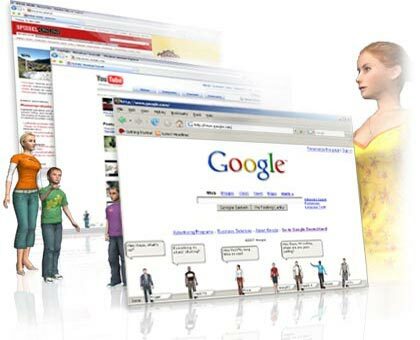 Who needs to buy an extensive game client like WoW, Conan, or install huge things like Second Life, when the internet function you use most, namely http, port 80 or the www – whatever you like to call the internets – can BE the game, populated by thousands of denizens either playing a game or just hanging out. PMOG is more of a game you play in your browser. You lay traps and earn badges, you as a character actively develop. PMOG is the Passively Multiplayer Online Game. To play, you’ll need to Get Firefox and Add Our Extension. This game allows you to leave traps or gifts on any web page. You can also take missions across the internet, discovering new content while leveling up.